Although he has reiterated his plans to sell the club, Leeds United owner Massimo Cellino has pulled the plug on the proposed fans takeover. Amid rumours of interest from money men, Leeds Fans United say they have been informed by Cellino’s lawyers that he no longer wishes to sell to them. A statement from the group read: “Our insistence on him confirming his verbal offer of exclusivity in a legally binding agreement has forced transparency on his motives. “It is much better that we identify this insincerity now before we spend our shareholders’ money. “This exercise has proved our capacity to adapt to any acquisition scenario very quickly. We now know we have the capacity to do both a minority and majority deal, and it has shown that Leeds fans have a desire for fan ownership. 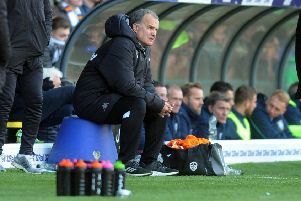 Leeds Fans United thought they had agreed a deal in principle with Cellino, but their chief executive, Dylan Thwaites, had spoken about the need for an exclusivity arrangement with the group before they could continue in their fundraising efforts. He said that Cellino had made it clear that he was only selling to fans, but he has backtracked now. Cellino, meanwhile, claimed Leeds Fans United were guilty of “telling fairytales” after he withdrew the offer to sell his majority stake in United to the supporters group. He said: “They say a lot of fairytales. They really are like kids in a sweet shop. Cellino is still believed to be intending to sell up, with an asking price believed to be between £30 million and £40 million. After supporters gave him stick at last Thursday’s game against Blackburn he was hurt by the criticism and announced on Monday that he would not longer be attending United’s fixtures. He is believed to have met with the representative of another prospective buyer in London earlier this week.